Saturday 12th July found me seated in the conference auditorium of the British Library, expectantly awaiting the start of a panel entitled ‘Beyond the Novel: Developing Contemporary African Writing’. 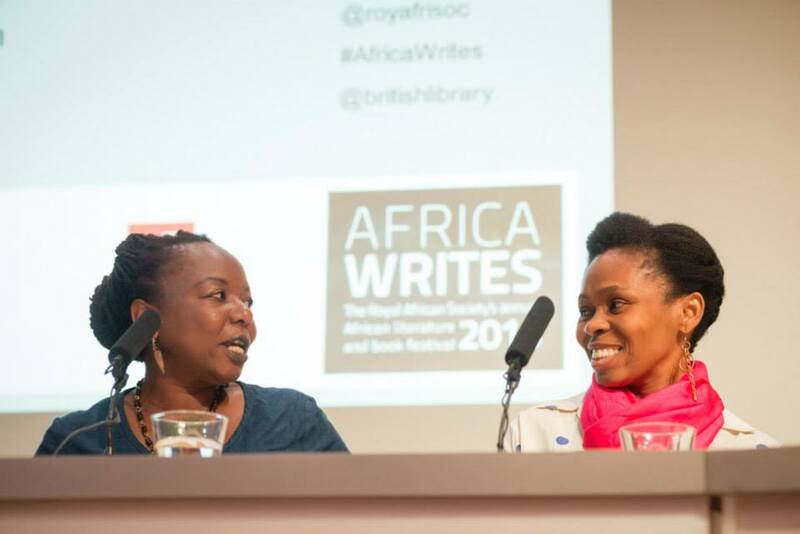 Comprising one of the many events scheduled at Africa Writes 2014, the annual African literary festival held by the Royal African Society over the course of the weekend, this panel did not disappoint. 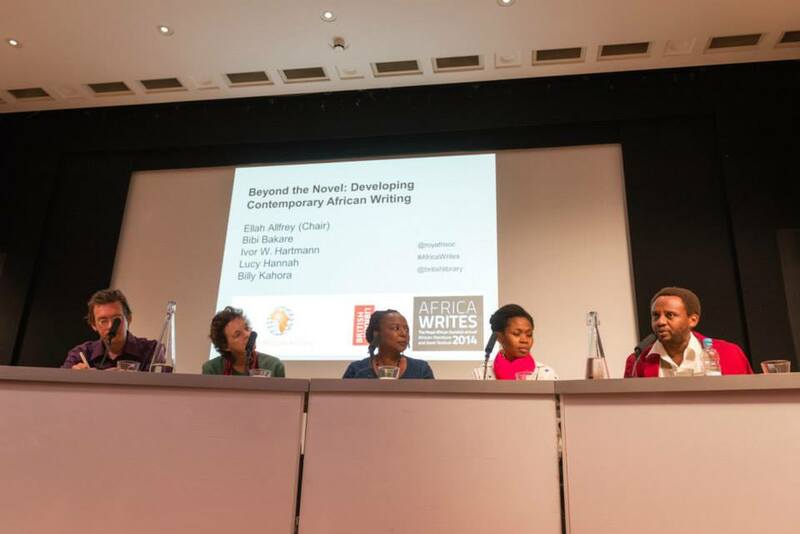 Having attended Africa Writes for the first time last year, for me ‘Beyond the Novel’ marked a step further in the recognition of the current status of writing in Africa. In 2013, the panel entitled ‘Re-Writing Africa: The Place of Non-Fiction’ traced the emergence of different literary genres and forms on the continent. ‘Beyond the Novel’ continued this trajectory, opening up discussion to encapsulate not just non-fiction, but genre fiction (the current trends in romance, sci-fi and crime, for instance) and the changing nature of literary production and publication. The focus on the role of publishers and networks in developing new forms of writing was evident in the expertise of the panellists. Bibi Bakare, co-founder and publishing director of Nigeria’s Cassava Republic Press was a prominent voice, as was Billy Kahora, writer and managing editor of Kwani?, based in Kenya. Ivor W. Hartmann, South African writer and founder of StoryTime was also a dynamic presence, alongside Lucy Hannah, programme manager of Commonwealth Writers, and panel moderator, editor and critic Ellah Allfrey. Bibi began by addressing the challenges confronted by African writing today. 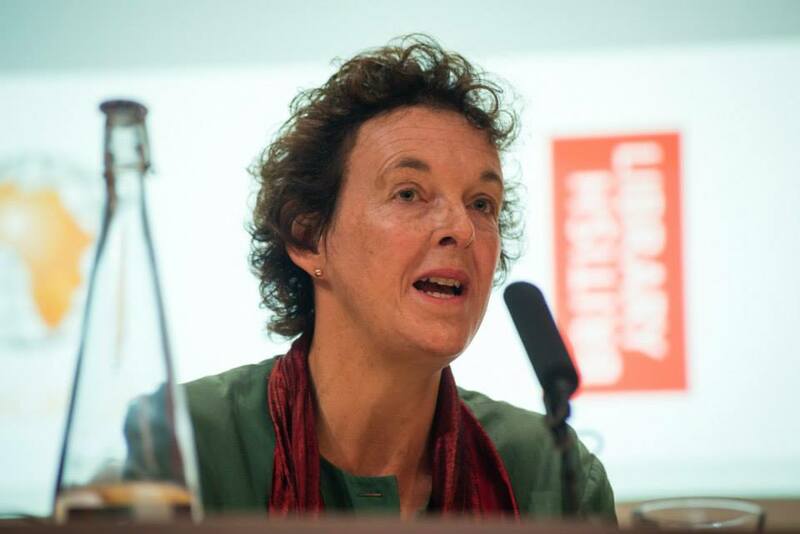 She noted literature’s propensity to being ‘locked into the prisonhouse of literary fiction’, a genre, Bibi argued, that in isolation offers a limited representation of the realities of the continent. Bibi pointed out her interest in ‘other [literary] plethoras’ including sci-fi and particularly romance. Her recognition of the market for romance in Abuja has inspired the imprint ‘Ankara Press’, due to be launched by Cassava Republic in October. 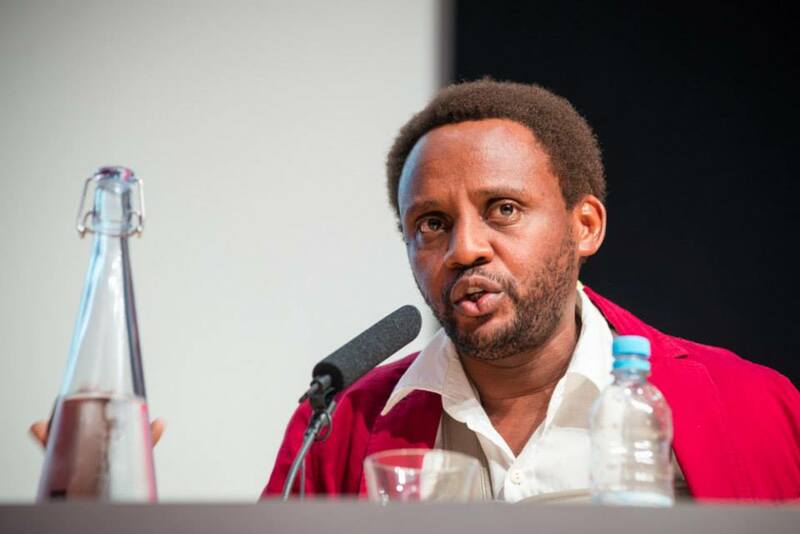 Bibi’s desire to push boundaries and open up new arenas for literary escapism contains striking parallels with the ethos of Kwani?’s founding editor Binyavanga Wainaina, who spoke on similar terms at the African Studies Association UK conference in 2012. Billy Kahora provided further insight into Kwani?’s approach to publishing in Kenya. Referencing the literary climate in 2010, Kahora spoke on the widening of editorial boundaries to encompass other forms as diverse as the short story, film, photography and music. Kwani Trust’s emphasis, according to Kahora, is emphatically on the people and the space the journal allows for creative expression. This led to an interesting discussion over the problematics of funding, a conversation which shed light on the viability and constraints of publishing in contemporary Africa. Kahora highlighted structural challenges in the way texts circulate, where books tend to be shared or sold at low prices by street hawkers in Nairobi. Hartmann similarly vouched for the lack of funding for literary publishing across the continent, pointing to technologies like mobile phones as popular reading tools and possible ways forward, using zero-cost marketing, in the circulation of texts. Despite acknowledging economic setbacks, however, the panellists all attested to the dynamism of current African writing. Lucy Hannah described the platform that the Commonwealth Writers initiative provides for up-and-coming authors, and the activity of publishing houses such as Cassava Republic and Kwani? is evidence of the continent’s continued literary vigour. The strength of African writing was never in question, and Bibi was quick to pick up on the ambiguities of the term ‘development’ included in the panel’s title. Genre fiction, according to Bibi, exudes a self-confidence that isn’t founded upon a conversation with the West, dispelling any associations with developmental rhetoric and reliance. For Bibi, development connotes an absence, and writing and reading cultures are certainly not new. The newer trends in African writing, she argues, can instead be characterised as a ‘redevelopment’, one that she hopes can be reintroduced to people by a reinvigoration of reading cultures in Nigeria and Africa more broadly. For me, this panel succeeded in answering – or reaffirming the answers to – some of the weighty questions posed in the programme’s synopsis over the status of new African writing. In terms of ‘creative hotspots’, Nigeria, Kenya and South Africa were well represented among the panellists, but this is not to exclude or overlook literary production in other countries. Dominant literary trends include the emergence of genre fiction alongside an openness towards realism and a concern for documenting the everyday. Kahora, for example, is a proponent of linguistic experimentation in communicating the commonplace and specifically the urban, while Bibi vouches for the ‘messy’ reality of a literature that represents the ‘everyday poetics and politics of existence’. The question over the (re)development of ‘a robust, varied and sustainable reading culture’ is still on-going and hedged with uncertainty, but, backed by publishers such as these, the future of African writing is certainly exciting. ‹ New edition of Chimurenga’s pan African gazette, the Chronic – out now!